This week, for the first time, Facebook turned on its safety feature for a city involved in Black Lives Matter protests. In the past, “Safety Check,” which allows allows users to “check-in safe” to the social media network during times of crisis or disaster, has been activated for events like the Paris attacks, the Orlando shooting, the Dallas attack, but never for a protest in the US. The “Safety Check” prompted criticism on Twitter that Facebook was editorializing on the situation, particularly during a night that was largely peaceful. 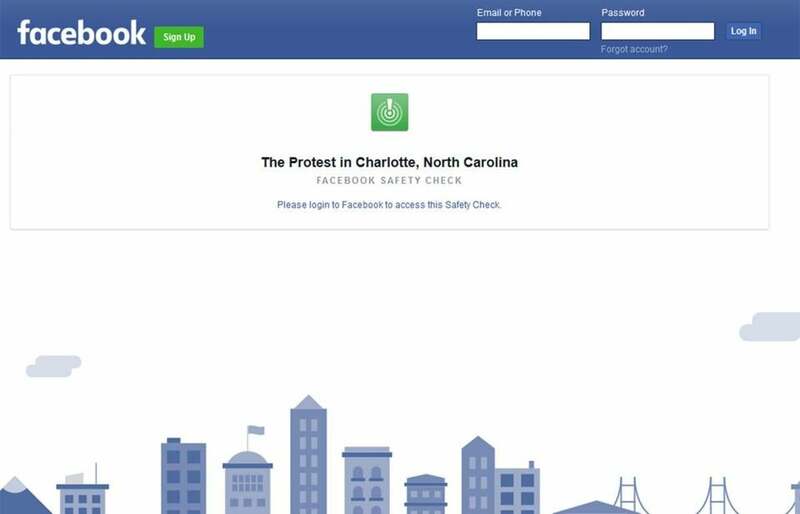 Facebook is sending out safety check notifications for those at "The Protest" in Charlotte. There is no violence tonight - why create fear? 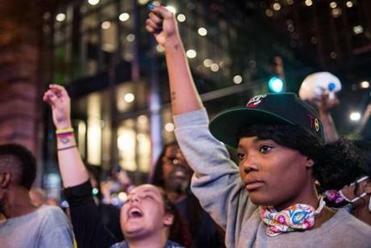 North Carolina’s largest city has seen three straight nights of protest following the death of 43-year-old Keith Lamont Scott. Scott was shot by a black officer at an apartment complex on the city’s northeast side Tuesday, and demonstrators have organized marches in the three days since. Mayor Jennifer Roberts issued the curfew order Thursday night, to be in effect from midnight until 6 a.m. each day that the state of emergency continues. While the marches have frequently been peaceful, some protesters have clashed with police, and one man died after being shot in the head by a civilian Wednesday night. “Safety Check” for the Charlotte protest was triggered by the amount of people posting about them in the area, according to Facebook spokesperson Anna White. When asked if Facebook would turn on “Safety Check” for future protests, White said the social network would, provided that the community finds it helpful. Protests over police shootings of black men have roiled the US in recent years, beginning in 2013, with the shooting of teenager Trayvon Martin. Martin was shot to death in Florida by one-time community watch volunteer George Zimmerman, who was later acquitted. Martin’s shooting gave rise to “Black Lives Matter” — the movement that is now leading the charge against police brutality. Black Lives Matter rallies have grown as fatal shootings of blacks by police officers are increasingly recorded and shared on social media, sometimes as confrontations are still unfolding. Material from the Associated Press was used in this report. Aimee Ortiz can be reached at aimee.ortiz@globe.com. Follow her on twitter @aimee_ortiz.